When you think “peatland,” you probably picture water, or mosquitoes, or creepily preserved human artefacts. What most of us don’t consider are catastrophic wildfires—but that’s precisely what scientists are now worried about when it comes to one of the most carbon-rich ecosystems on Earth. Mike Waddington is a forest ecologist at McMaster University in Ontario. He’s been studying the peatlands that pepper the Canadian boreal forest for going on thirty years, and he’s begun to notice an alarming trend. When peatlands that have been drained by humans for forestry or mining catch on fire, they burn like crazy, eating through metres of carbon-rich soil over the course of months. 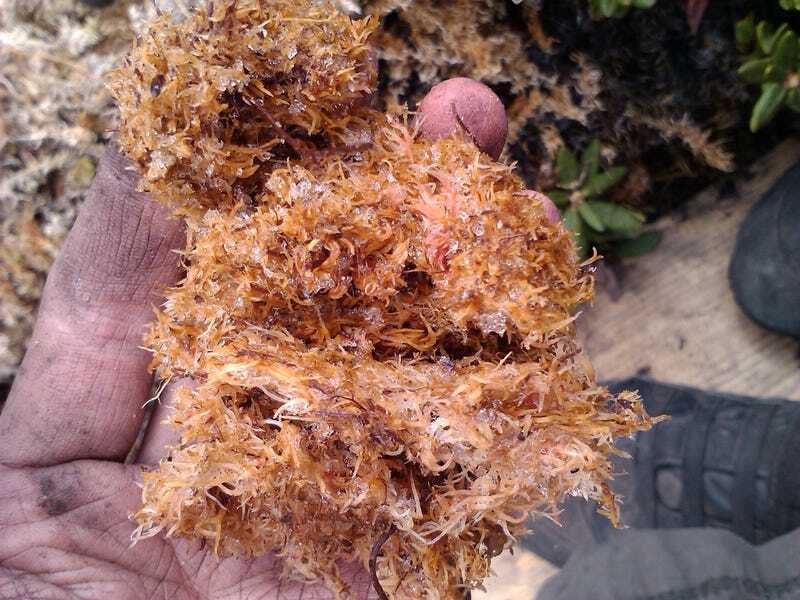 Sphagnum moss acts as a natural fire suppressor in peatlands, but it’s often lost when these ecosystems are drained. 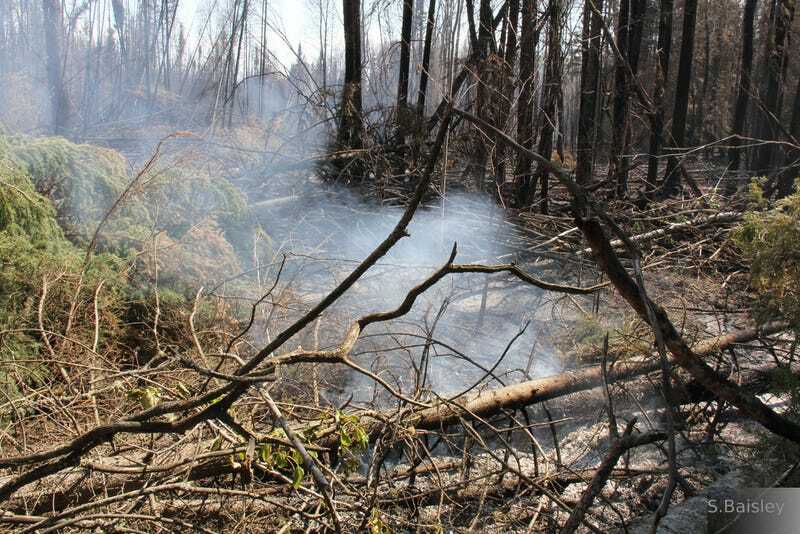 Over the last few years, Waddington and his colleagues have been piecing together the ecological and hydrological changes that are causing managed peatlands across north America, Scandinavia and Russia to become some of the best natural fire starters on Earth. When peatlands are drained, centuries of years of accumulated organic matter (basically, coal that isn’t coal yet) become exposed to the surface. Couple this new fuel source with ecological changes—the disappearance of sphagnum moss that acts as a natural flame retardant, and the invasion of large spruce trees that can shoot fiery embers hundreds of metres skyward—and you’ve got the perfect storm of conditions for a very large, very dangerous fire. These ecosystems have been storing and removing carbon for millennia, but they have the potential to become an enormous carbon source in the future. Waddington’s latest study, which appears today in Nature Scientific Reports, takes these observations to their sobering conclusion: peatlands, especially those that humans have messed with, are a ticking carbon time bomb. Combining measurements on drained and mined peatlands in Canada and northern Europe, the study finds that under modern weather conditions, catastrophic “deep burns” can lead to over 200 tonnes of carbon released per hectare. That’s roughly equivalent to the annual emissions of 200 American cars. And given that catastrophic wildfires have developed a nasty habit of burning across hundreds of thousands to millions of hectares, this could become a major new source of climate-warming greenhouse gases. A smouldering peat fire in a northern hardwood forest. “These ecosystems have been storing and removing carbon for millennia, but they have the potential to become an enormous carbon source in the future,” Waddington said, adding that according to his models, the warming and drying brought on by climate change is causing the fire risk to become even greater for many peatlands. We need only look at the peat fires in Indonesia last fall, which were at one point emitting more carbon than entire the US economy, for a glimpse of what the future could hold. Waddington and his colleagues are sharing their findings with land managers throughout Canada, who are starting to take the issue of peat fires very seriously, particularly in light of the megafire that ripped through Fort McMurray and surrounding wildlands earlier this spring. Let’s just hope that awareness of this problem translates into swift action. There are roughly 21 million hectares of managed peatlands across the world’s northern forests, and we need them on our side in the fight against climate change.